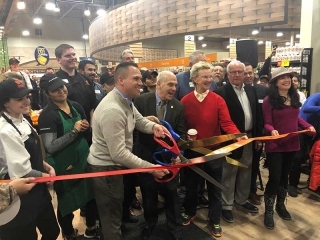 Giant Food Stores celebrated April 5 the grand opening of six new stores in four states, growing its total store count to 178. Five of the stores, which are former Shop ‘n Save locations Giant acquired earlier this year, are branded Martin’s Food Markets and are in the communities of Smithsburg, Maryland; Greencastle, Pennsylvania; Berryville, Virginia; Hedgesville, West Virginia; and Martinsburg, West Virginia. In addition, Giant constructed a brand-new store in Warrington, Pennsylvania, to replace a store previously located in Jamison, Pennsylvania. Giant also extended its commitment to each community through its philanthropic platform, Living Here, Giving Here. As part of the April 5 announcement, the company donated $25,000 in total to local food pantries, schools, police and other emergency responders. 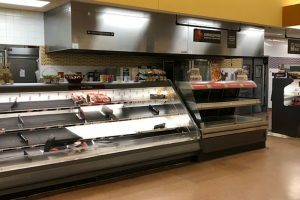 Giant also will ensure each store is assigned a feeding agency partner to receive weekly food donations through the company’s food rescue program, including its “Meat the Needs” initiative. The company has recently made a series of strategic investments to its store fleet and family of brands within Pennsylvania, including the recent opening of the first Giant Heirloom Market in Philadelphia, where three additional locations are planned to open this year; the grand opening of its new Giant Direct e-commerce hub in the city of Lancaster and new stores opening this year in the East Stroudsburg and Walnutport communities. Founded in 1923 in Carlisle, Pennsylvania, Giant Food Stores is passionate about building strong families and healthy communities. Giant serves millions of families across Pennsylvania, Maryland, Virginia and West Virginia through its nearly 180 neighborhood stores, 132 pharmacies, 99 fuel stations and its online grocery ordering and delivery services. 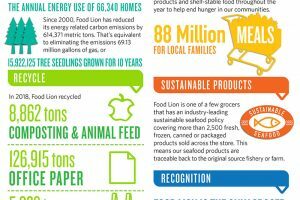 Giant Food Stores employs more than 30,000 associates who believe in giving back to their community and over the last five years, Giant, with the help of its customers and vendor partners, has donated more than $100 million to local nonprofits.